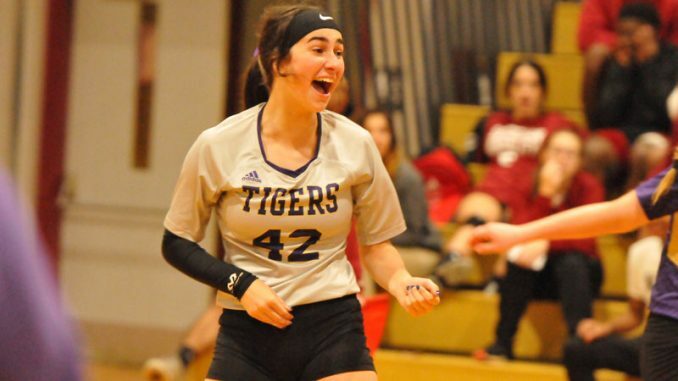 Hahnville libero Kristen Crutti saw her strong season recognized when she was selected as the District 6-1 Defensive MVP for the 2018 season. Hahnville libero Kristen Crutti and head coach Mendi LeBoeuf headline local representatives on this season’s All-District 6-I volleyball team, with Crutti earning the district’s Defensive MVP honors and LeBoeuf earning her second selection as Coach of the Year in the past three seasons. Fellow Tigers Brianna Plaisance, Reagan Young and Bailey Roux earned first team honors, as did Destrehan’s Allison Carmichael. Second teamers included Destrehan’s Ryley Boyne and Noelle Kelly and Hahnville’s Yelah Moses and Chelsea Plaisance. Crutti led a strong Tigers defensive effort this season, and raised her game in district competition. She made 73 digs over the course of 10 games, with a 17 dig effort in a win over H.L. Bourgeois and 12 in a win over Destrehan highlighting her run. 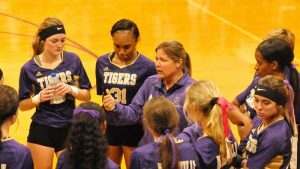 Hahnville head coach Mendi LeBoeuf confers with her team during a timeout. LeBouef guided Hahnville to its second district championship in the past three years, both of those crowns on the back of unbeaten district records. 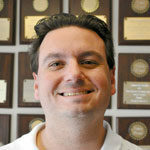 It helped Hahnville earn a 12 seed and home playoff game, which the Tigers won by sweeping Sulphur. The 2016 district crown was the team’s first in nearly a decade, but now Hahnville has two of them in a short span. Hahnville finished with a 27-15 record this season. For the team’s 10 district games this season, Brianna Plaisance led the Tigers with 115 kills to go with 54 digs. Reagan Young had 97 kills, 10 solo blocks and 10 block assists. Roux racked up 346 assists as setter. On the second team, Moses had 64 kills, 12 solo blocks and seven assisted blocks in district play. Chelsea Plaisance made 88 kills. For Destrehan, Carmichael had a team-leading 704 assists (season-long) to earn her way onto the first team and to help lead Destrehan to a 26-17 record this season. Kelley made 718 digs to notch her second team selection, while Boyne was third on her team in kills and second in blocks for the season. Others earning first team recognition in 6-I included H.L. 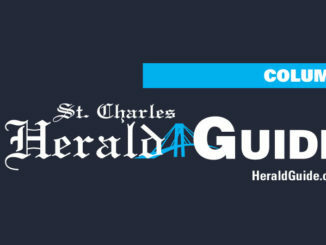 Bourgeois’ Naidra Theriot and Abby Theriot, Thibodaux’s Ja’Mya Holmes, H.L. Bourgeois’ McKenzie Vordick and Central Lafourche’s Madison Theriot. 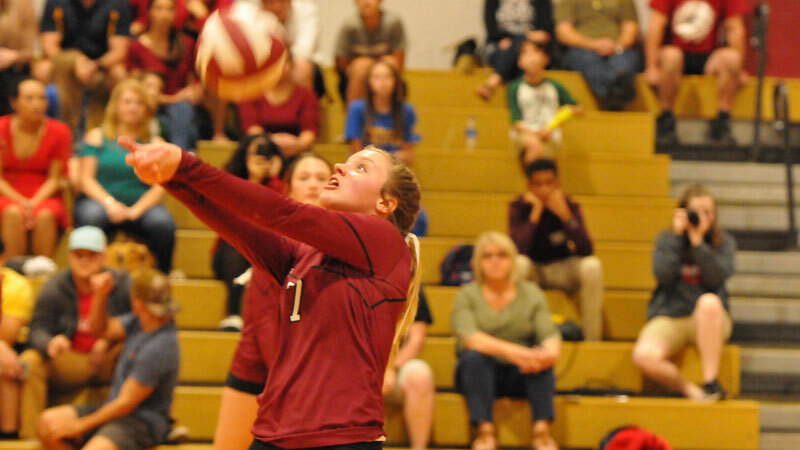 Allison Carmichael was a steadying force as Destrehan’s setter this season, earning her All-District honors.